What's blank in regular light, you use to wipe your toosh, and glows in the dark when you're over 40 years old? Give up? 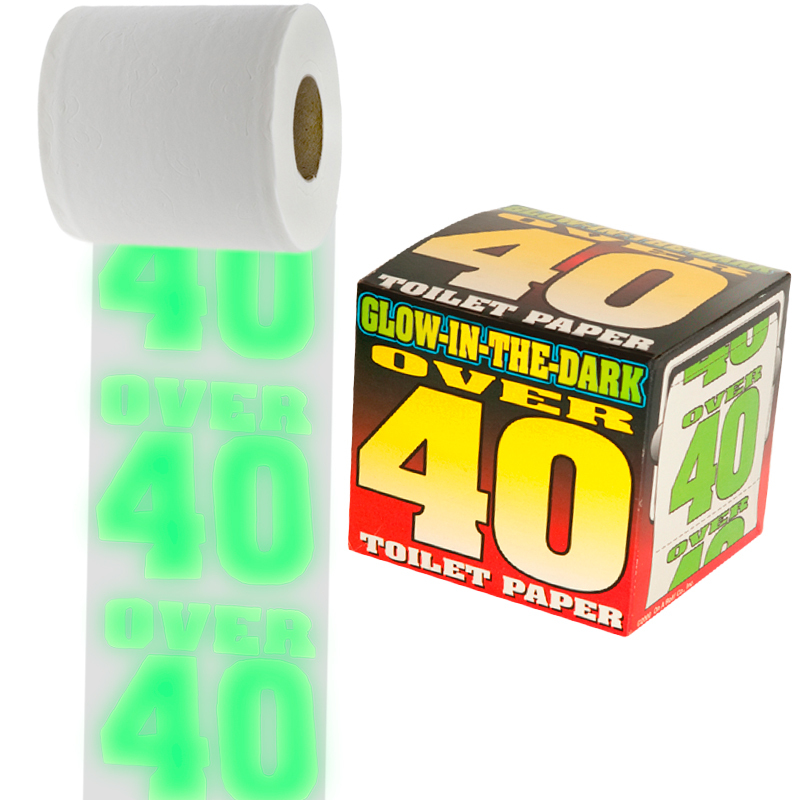 The Glow in the Dark "Over 40" Toilet Paper! This Roll of seemingly blank Toilet Paper glows a popping "Over 40" on every sheet. 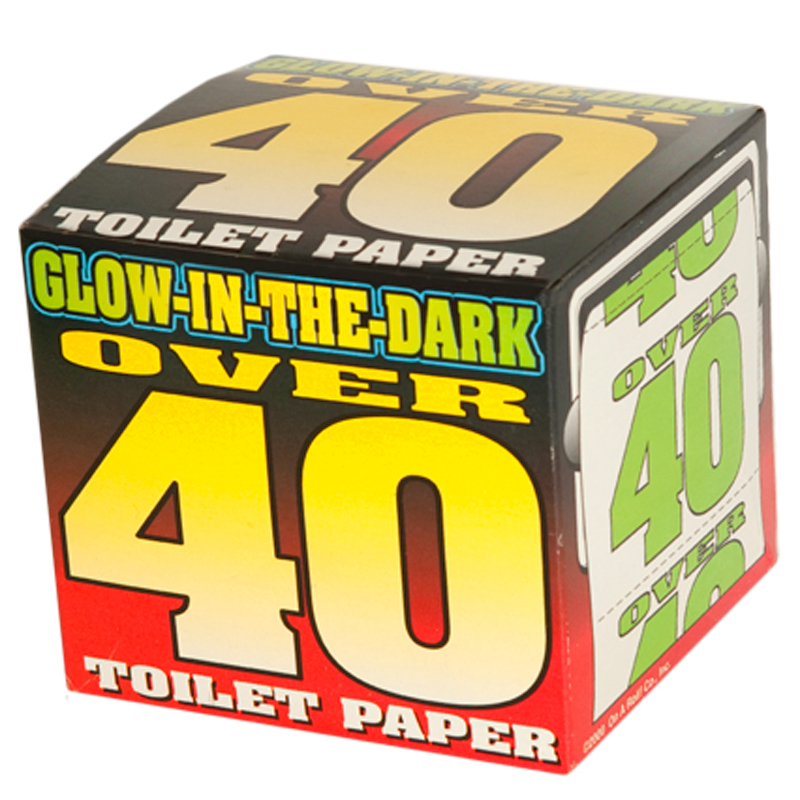 If you're approaching your 40th Birthday or are just a fan of Glow in the Dark Toilet Paper, this is your thing! Feature: - Looks like blank Toilet Paper in regular light but has "Over 40" in glowing print on each sheet once the light dims.